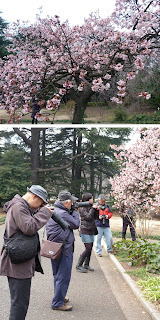 I am rather embarrassed to say that I have never been to Shinjuku Park, one of the biggest parks in Tokyo, and meant to be the best viewing spot for cherry blossom. On sunday, Neil and I headed there for a mooch around and we loved it! It had a very serene atmosphere and there were lots of people out and about enjoying the day. 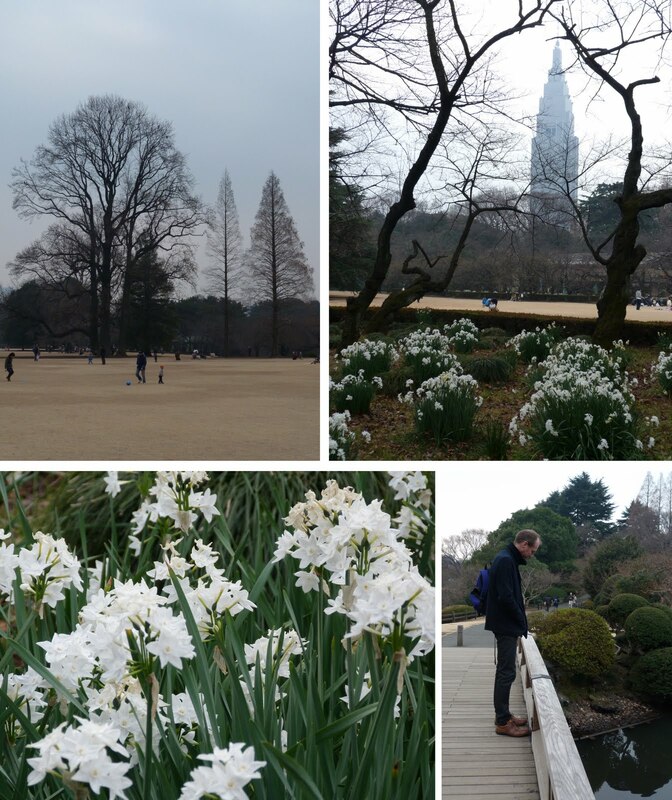 The first signs of spring were in the air as the daffodils had started blooming (apparently the first day of spring in Tokyo is officially 3rd feb! ), but the grass was deceptively dry and brown, almost as if we were in the middle of a heatwave. The fact is, it hasn't rained properly here for weeks, so everything is actually looking very dry.